For help email Tom Dozier at tom@misophoniatreatment.com or call 925-322-5100. Donwload and complete the assessment forms (Misophonia-Assessment-Forms) as best you can, without discussion with your child. Misophonia usually gets progressively worse with more triggers added over time. The sooner misophonia is treated, the easier and more effectively it is to treat. 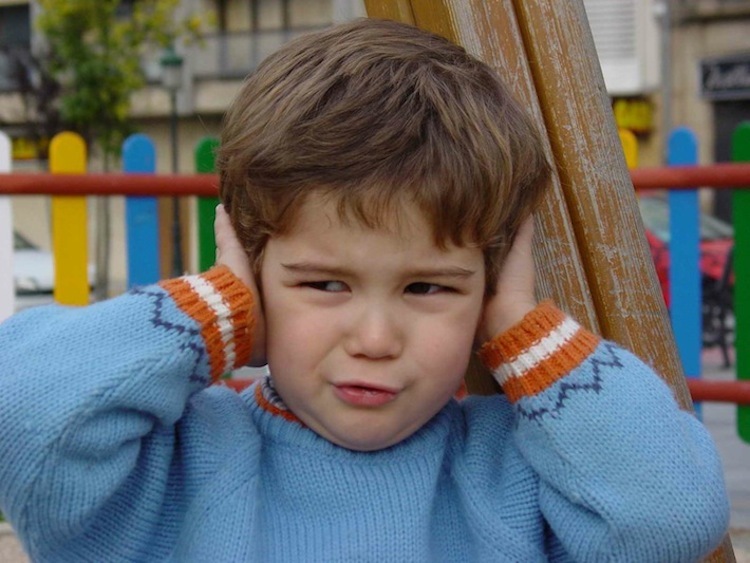 Children under 10 are too young for misophonia treatments such as Cognitive Behavioral Therapy (CBT), Sequent Repatterning hypnotherapy, or other forms of talk therapy. But there are treatment techniques that can be implemented with these misophonic children that can reduce the actual misophonic response. As a behaviorist, Tom Dozier has developed specific activities that provide experiences that can reduce the fundamental misophonia reflex response. These are activity based (experience based) methods that allow the child with misophonia to change. These activities and methods can have broad, positive effects for your child. 1. Improving Child Cooperation and Mood. In many cases, parents can benefit from applying positive (behavioral) parenting skills such as those on my website 3LParenting.com (3L stands for Love, Laughter, and Limits). These skills can greatly reduce conflict, improve cooperation, and reduce stress and tension. They can be used to help siblings cooperate (and comply) with a family misophonia management plan as well as helping the child with misophonia. Clear expectations and appropriate rewards (used strategically) can also improve your miso-child’s attitude and the overall mood in your home. This will have the effect of improving your child’s state of well-being, which generally reduces misophonia severity . My primary career is that of a parenting coach and a parenting skills trainer. I would love nothing more than to be able to be of help to you with your parenting challenges, including those brought on by misophonia. Misophonia is a significant factor in parenting and family dynamics and is often the source of serious conflict. This conflict and upheaval can be drastically reduced with good behavioral interventions. 3LParenting.com has free parenting videos, but applying the principles and skills often requires professional help for difficult situations, such as a child with misophonia and siblings that are less than 100% cooperative. Tom routinely works with parents by internet video-chat. Contact me if you want to try this (tom@3LParenting.com). 2. Family Misophonia Management Plan. 3. Neural Repatterning Technique (NRT) to Reduce Misophonic Reflex. Neural Repatterning is a method of changing the brain response to triggersbased on the principles on neuroplasticity. This works best when there are specific triggers by specific family members. For adults, this treatment is often provided using the Trigger Tamer app, but for children, it is accomplished with games such as pillow fights, tickling, and wrestling. Tom Dozier can teach you these techniques so that you , the parent, can provide the treatment sessions for your child. It is also advisable to develop a treatment plan and have professional guidance by Tom Dozier or another competent behavioral professional. This treatment reverses the progression of the misophonic reflex, so that when your child hears a trigger, the response is greatly reduced (and perhaps eliminated). We hope that if you have a young child with misophonia, that you take action to reduce the typical progression of this condition. Generally triggers become more severe, spread from one family member to others in the family, then spread to non-family members, and new triggers develop. We work with individuals and families by internet video-chat. It is not quite as good as meeting in person, but it is close. If you would like help with your child’s misophonia, please email Tom at tom@misophoniatreatment.com or call me at 925-322-5100. Tom is happy to help, and he offers a satisfaction-money-back guarantee. This is a way of blocking most initial physical reflexes. The basic requirement for this technique is for the child to hear a trigger, and immediately be engaged in an activity that consumes them physically and emotionally. For example, one person can make the trigger (or it could be a recorded trigger played with the Trigger Tamer app) and another person has an immediate, positive interaction with the child, such as a brief pillow fight, wrestling, or ticking. The goal of the interaction after the trigger is to cause many muscles to be in use in a way that is drastically different from the typical action of muscles after a trigger. When this is achieved, it creates a brain neuroplasticity event that slightly changes the established trigger response. One family called this game a “cage match” when the child and father were playing. They would face off, and the trigger was the signal to wrestle. The father would attack as quickly as physically possible. After 10-20 seconds, they would pause and wait for the next trigger. When mom played the game, they had pillow fights. This game eliminated the misophonic response for this child. Classical conditioning occurs in the first seconds after the stimulus. For a child, the timing that produces the strongest conditioning is for the response to occur a half second after the stimulus. In middle aged adults, the reflexes have slowed and maximum conditioning occurs at 1 second. If the parent waits a few seconds, then it is too late to have a classical conditioning effect. The theory behind this treatment is the same as for blocking a reflex. In the 2 seconds immediately following a trigger, the lizard brain is observing the body responses. The theory is that if the lizard brain sees the muscle tightening that is activated by the initial misophonic physical response, then it creates a conditioning event that makes the initial physical response stronger in the future. If the lizard brain sees that muscle relaxing, then it creates a conditioning event that makes the response weaker in the future. You want this activity to be very positive for the child. You should never coax the child to play this game. If you say, “Do you want to play the Trigger Game?” and your child says, “Maybe later.” Then let it go. This activity needs to be very positive for the child. If the child says he is tired and wants to quit after 2 triggers then it is time to quit. Tom recommends playing the game once a day for 10 minutes, where the child hears about 20-30 triggers. But there is no research behind this recommendation. As long as it is a very positive experience for the child, then you can play it as often and as long as you have the energy and enthusiasm. The Trigger Tamer app keeps a history of the session data, and Tom can review the history to make sure appropriate progress is being made. You need to be sensitive to the strength of your child’s response to the trigger, and make it appropriate for the game. Start with a stimulus that triggers the child only slightly, and work up from that point. You are better off to waste a few sessions building up the trigger strength (volume, length) than to start too high and have your child run off screaming. If you can use a recorded trigger as with the Trigger Tamer, then you will have precise control of the trigger strength, and you can tell the treatment is working by having the child rate the severity of the trigger response on a scale of 0-10 where 0 is no misophonic response. It is recommended to have a response around 5 on this scale for playing the Trigger Game. You should focus on one category of triggers (e.g. eating sounds). You will likely need to eliminate at least 3 specific triggers before you would see any real-life improvement. Please provide Tom your feedback on how this treatment works for your child. There are probably ways that this treatment can be used for adults. Use your creativity to develop ways to immediately engage in an activity that is all-consuming. Again, please share the successful ways you have adapted this methods for adults. Tom is a behaviorist and applies the basic science of human behavior to help others. A part of this science involves human reflexes and how we acquire them. Misophonia is an acquired reflex to the trigger sounds, sights, and other stimuli. Tom applies this science to misophonia so that the reflex reaction to the sound is significantly reduced (or goes away). This is done by creating experimental situations where the controlling brain neurology can reduce the reflex response of misophonia. It is the behavioral interventions which Tom provides (activities, actions, and behavior skills) that allow the reflex behavior to change. The behavior of misophonia has been identified through research studies as a neurological reflex behavior, and such behavior develops and is controlled by the principles of neuroplasticity or the ability of the brain to change through experience. Tom also applies his research and experience to educate individuals on misophonia including how it develops, expands, and continues. His teaching on misophonia is especially beneficial on ways an individual can make environmental changes that will greatly reduce the suffering caused by misophonia and prevent the steady worsening of misophonia with time. Tom expects and hopes that individuals will feel better as they resolve their misophonia, but Tom is not treating emotional or interpersonal distress, and if that sort of treatment is required, Tom would be able to make a referral to a licensed mental health professional or neuropsychotherapist. Tom does not provide treatment of unconscious or unintended thought and associated behavior. Additionally Tom makes no attempts to directly address emotional and interpersonal dysfunction and conflict. To be clear, Tom is a behaviorist and not a psychologist or psychotherapist. Tom is not providing psychological services involving the application of psychological principles, methods, and procedures of understanding, predicting, and influencing behavior, such as the principles pertaining to learning, perception, motivation, emotions, and interpersonal relationships. Tom does not provide psychotherapy, which works to modify feelings, conditions, attitudes, and behaviors that are emotionally, intellectually, or socially ineffectual or maladaptive. Misophonia is not a recognized condition in the DSM-5, and researchers have recommended that it be considered a unique, discrete disorder. More specifically, misophonia is not a sensory processing disorder as referred to in the DSM. Tom is a behaviorist (and a very good one) whose years of research in misophonia have helped him identify effective behavioral treatments that reduce the misophonic reflex responses and thereby reduce and in some cases completely eliminate the suffering caused by misophonia.